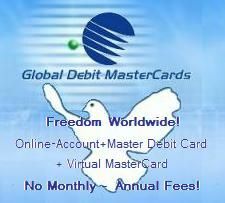 All Sms-and-Phone.com subscribers must pay a one time sign up fee of 34.50EUR and have rights and access to all Free International Phone Calls, services, and training materials. There is no long term commitment or timeframe in which a subscriber must continue to remain active by having paid their one-time setup and subscription fee. Subscribers may cancel their subscription at any time for any reason simply by logging into their Sms-and-Phone.com and clicking on the cancel account link where they are required to follow the Terminate Subscription link to cancel their subscription. No commissions can be earned by inactive subscribers. By cancellation of the subscription, Refunds are not possible, if the subscriber has received already the service provided herein as a subject matter of Sms-and-Phone.com services. If subscriber has paid the one-time subscription fee but has not received the service within 3 days, the subscriber has the right to claim a Refund. only given if the 3 day eligibility requirement is met and if the refund is requested. To request a refund, you must send an email to support@sms-and-phone.com including your Sms-and-Phone.com username or ID number.